So you’ve started your own online dropshipping business, and you’ve had a sale here and there, but how do you grow from there? There are many online articles from self-proclaimed millionaire dropshippers trying to sell you on the idea that dropshipping is a way for you to “get rich quick”, but I have some news for you - dropshipping actually takes time and dedication. You don’t just open your online business and instantly earn thousands of dollars, just like any brick-and-mortar store can’t just open their doors and expect lines around the block when they first begin. You just opened a REAL business, and with a real business comes a lot of hard work in order to make it successful. I’ve outlined some tips below that will help you grow your audience and retain your customers to help take your online store to the next level. Content comes in all types of forms - blog posts, social media marketing, product descriptions, etc. - and capitalizing on these different opportunities will help scale your online store and put you in front of new potential customers. One of the first things you should do after you open your online store is to start a blog. 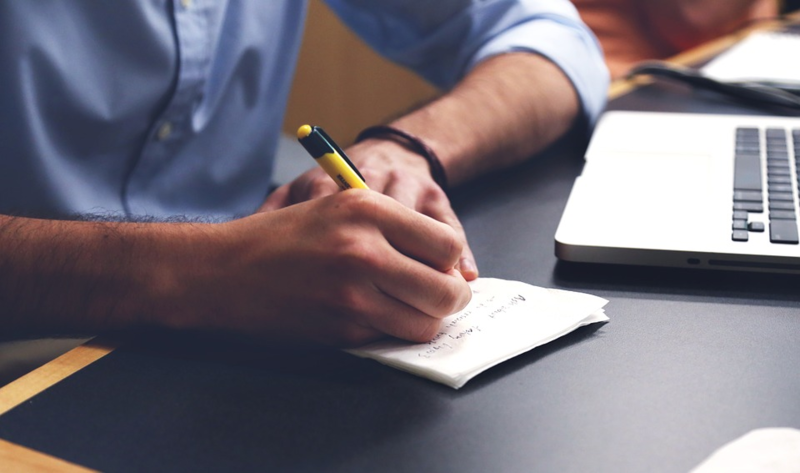 Many of the different ecommerce platforms offer a place within their admin panel to start a blog on your website in an easy and user-friendly way. If you’re struggling to find a way to add content onto your site, you may consider switching to one of the major ecommerce platforms like Shopify, BigCommerce, WooCommerce or Magento in order to better grow your business. And, make sure you choose the right ecommerce platform that best fits your business’s goals. After making a decision on your platform, begin to develop topics based around the niche that fits your store and product selection. For example, if I started a women’s clothing store, I could write a blog on the “Top 5 Summer Fashion Must Haves”. This is a great way to gain organic traffic from search engines and social media shares. For maximum potential, keep it engaging, concise and relevant! Social media marketing is just as vital for your ecommerce business, and I believe this is the best way to start forming a connection with your customers to make them want to keep returning. One of the best ways to create a social media presence is to host a giveaway on your channels. For instance, as mentioned above, if I owned an online women’s clothing store, I could host a shirt giveaway on Instagram with a set of rules including tagging friends in the comments, re-posting the giveaway picture and following my account. Most people have no problem doing this, and each new follower is another potential customer who your future posts are now showcased to - simple and effective! Not to mention, the giveaway winner is likely to blast your company to all their following once they receive their gift. Another simple way to grow your dropshipping business content-wise is to update your product descriptions if you haven’t already done so. It’s obvious when companies use wholesaler-issued descriptions, so customize them and make it your own! You can even add your own pictures or videos of the products onto the page, and by doing so, you can help increase your customer conversion rate. I can’t stress this enough. Without having an email address from your customers, how are you going to continue to market to them to make another purchase? How do you get blog readers to check out your store? How do you reach out to visitors’ abandoned carts? Something that I have learned is beneficial is to have a pop-up when people navigate to your store incentivizing people to enter their email in return for a coupon code. For example, you could have a pop-up that reads “Sign up for our Newsletter to receive 15% off your first order!” Once you have a large collection of emails, began strategizing an email marketing plan. You don’t want to flood inboxes, but you do want to be prominent and memorable. Find the happy balance that works for your audience by utilizing and studying your newsletter analytics, and tweak your plan along the way to adjust accordingly. Emails you could send include new blog posts, new products, sales and featured seasonal products. One of the more popular email marketing solutions is MailChimp, which allows you to drag-and-drop build your custom, branded emails in an incredibly user-friendly way. 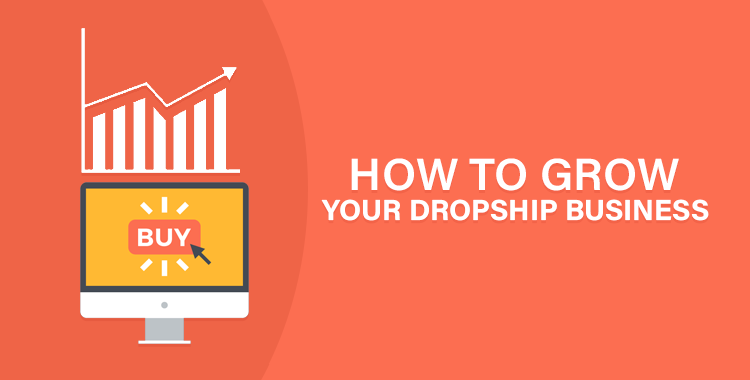 Once you have an email, you have them hooked, so take advantage of this opportunity to grow your dropship business. In order to grow your dropshipping business, you are going to want to boost every transaction in any way possible. One of the ways you can do this is through upselling and cross-selling. 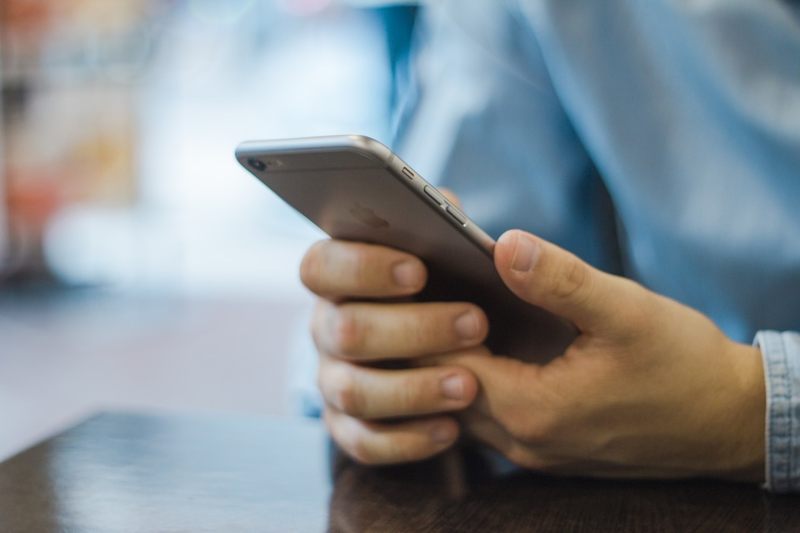 There are now multiple apps that can easily integrate with your ecommerce platform that allow you to entice your visitors to continue adding products to their cart. One thing you can implement is adding a “Recommended Products” section on your product pages with products of same collection or tags. If a visitor was to like one product, they would be more inclined to like a recommended product below it, thus increasing the chances of a higher transaction volume. There are also apps like Sales Pop, which shows customer purchases in “real-time” as a pop-up on the screen while a visitor is perusing around an online store. This can be incredibly beneficial to dropshippers to help earn credibility and trust in order to convert the visitor to a customer. If you are just starting out, this apps allows you to customize your own pop-ups to give yourself a head-start. Growing a dropshipping business doesn’t just happen on it’s own; you have to implement different strategies, initiatives and hard-work to achieve results. By utilizing the tips above, you will be on the right track to start seeing your hard-work pay off and accomplishing a successful dropshipping business.